Dozens are dead and many more are injured after a suicide car bombing in Afghanistan's capital city. The explosion happened around noon local time after an ambulance loaded with explosives passed a police checkpoint and entered a diplomatic area. The Taliban claimed responsibility for the attack. Officials put the death toll at at least 95, with 158 injured. 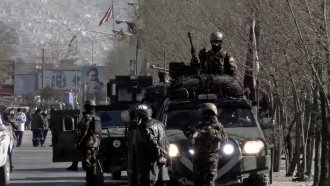 Afghan officials said Saturday that number was likely to rise as more injured people were brought to hospitals. Afghanistan has seen a number of deadly extremist attacks recently. Taliban gunmen attacked the Intercontinental Hotel in Kabul just days ago. That attack left 22 dead, including at least four Americans. Even more recently, the ISIS affiliate in the country claimed responsibility for an attack on a child aid group's office, leaving at least five people dead.